This Complete Patio Potato Growing Kit means that anyone can now grow delicious, fresh potatoes you don't even need a garden a patio, balcony or courtyard will do. 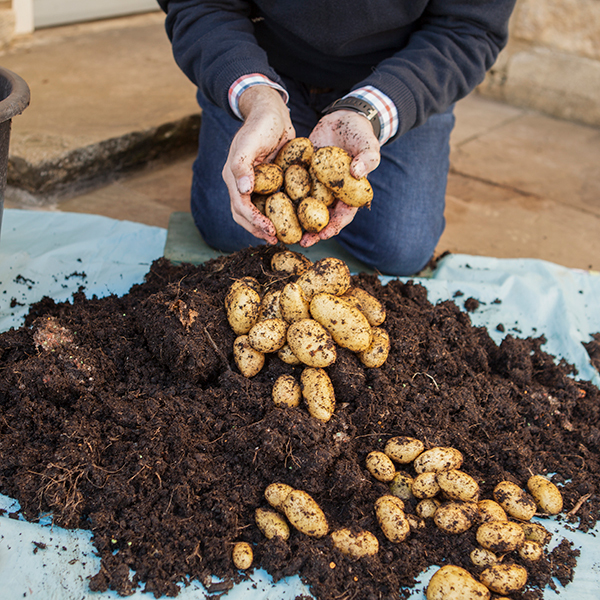 Just add compost and water and you could be harvesting your first New' potatoes from just 12 weeks after planting. That means could be be eating delicious new potatoes from as early as April this year. 'Swift' (Early): As its name implies, this is a very fast-cropper, usually reaching harvest in 8-9 weeks from planting in April. 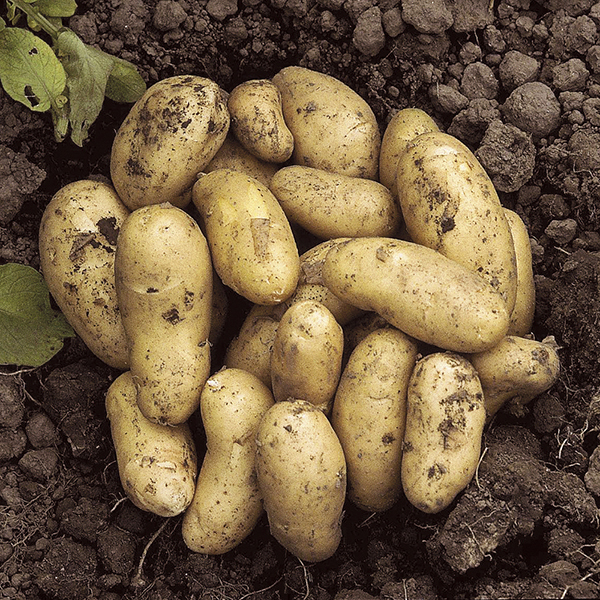 Gorgeous, soft new potatoes are produced in abundance. 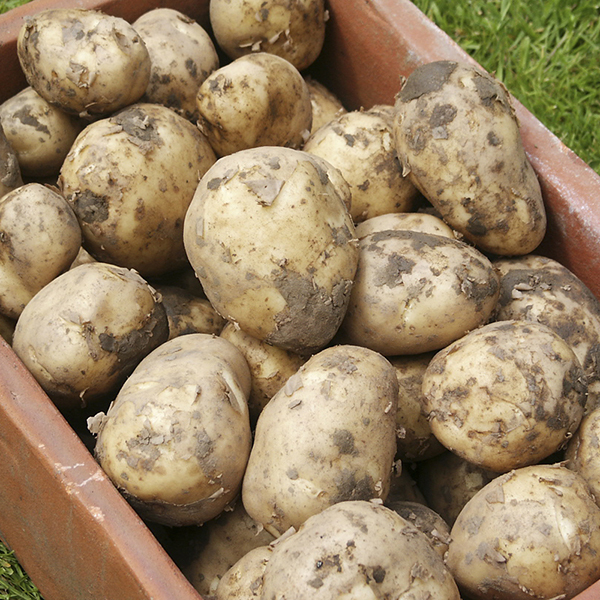 'Charlotte' (Salad): Perfect as a new potato, or use in salads, yet keeps well for boiling too. 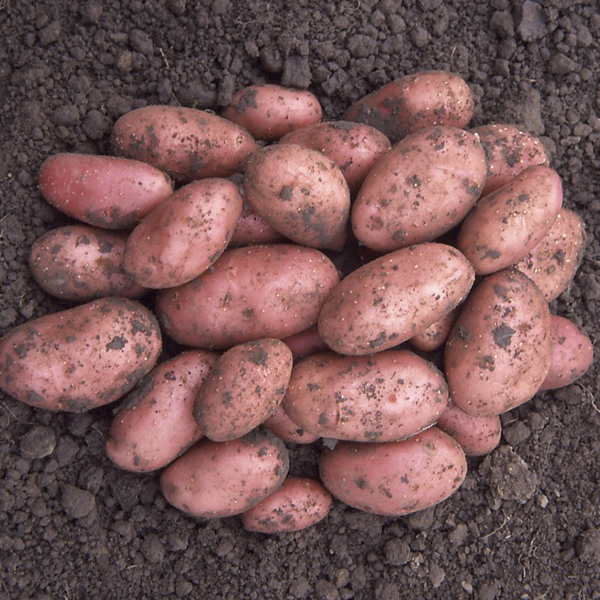 'Desiree' (Maincrop): The classic red skinned, yellow fleshed potato that has been a garden winner for decades. 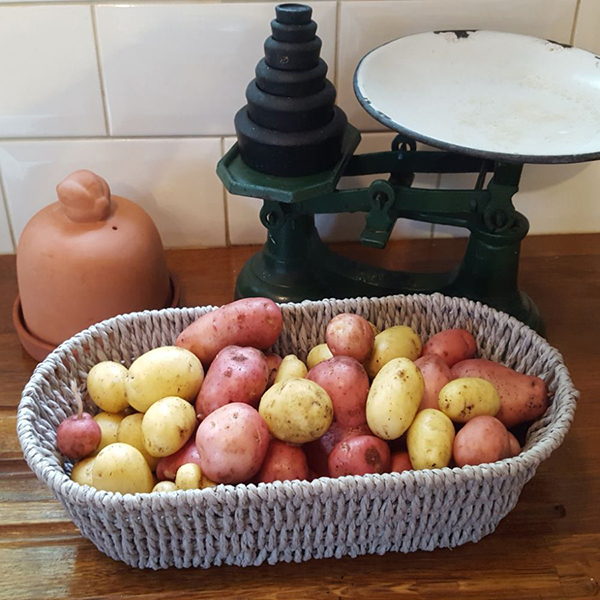 Great for boiling or mashing, but we love them best as jacket potatoes, with a lovely crispy skin. 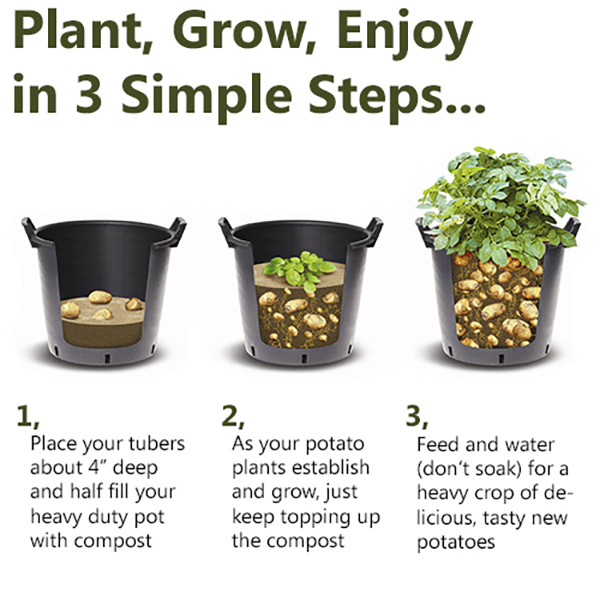 This is the perfect way to grow your own potatoes what's even better is it requires no back breaking digging whatsoever. 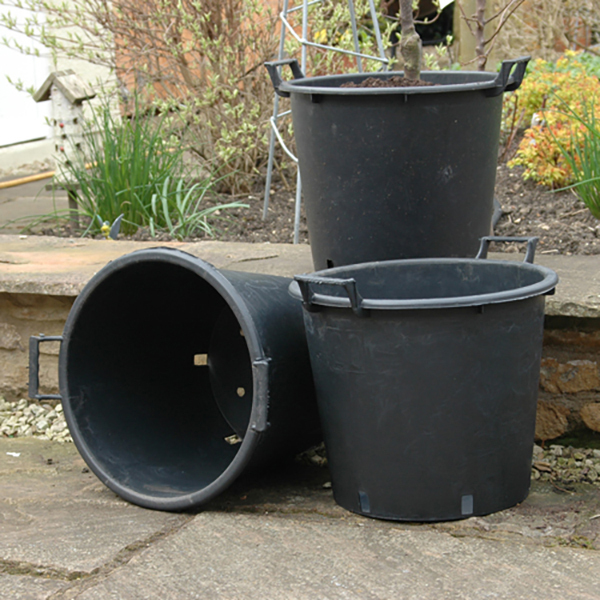 The Heavy Duty 30L pots can be used again and again and the Organic Potato Fertiliser can be used all around your vegetable garden.